Hi! My name is Brandon. 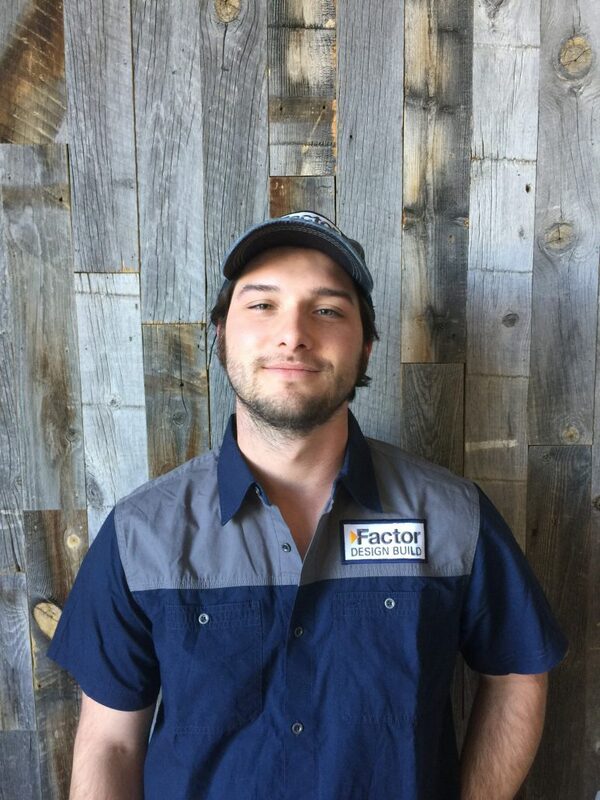 I am a carpenter here at Factor Design Build and recently moved to Denver from Chicago. I may be a carpenter but I can do a lot more than hammer nails into boards. I like to spend my free time reading books, hiking, drawing, writing and playing music. My first lady is my guitar, but I have been getting into some other stringed instruments such as the banjo and mandolin. I have 3+ years experience in woodworking/carpentry, where I have learned a tremendous amount and continue to learn more every day from the folks around me. Hope to see you on the job site!